Duller, windier and cooler day, with rain forecast, and so our sailing delayed but another one enjoyed in Edam, visiting the tourist office, town hall museum and great church and then spending time resting and catching up with things as we rest in this historic place for a third day. 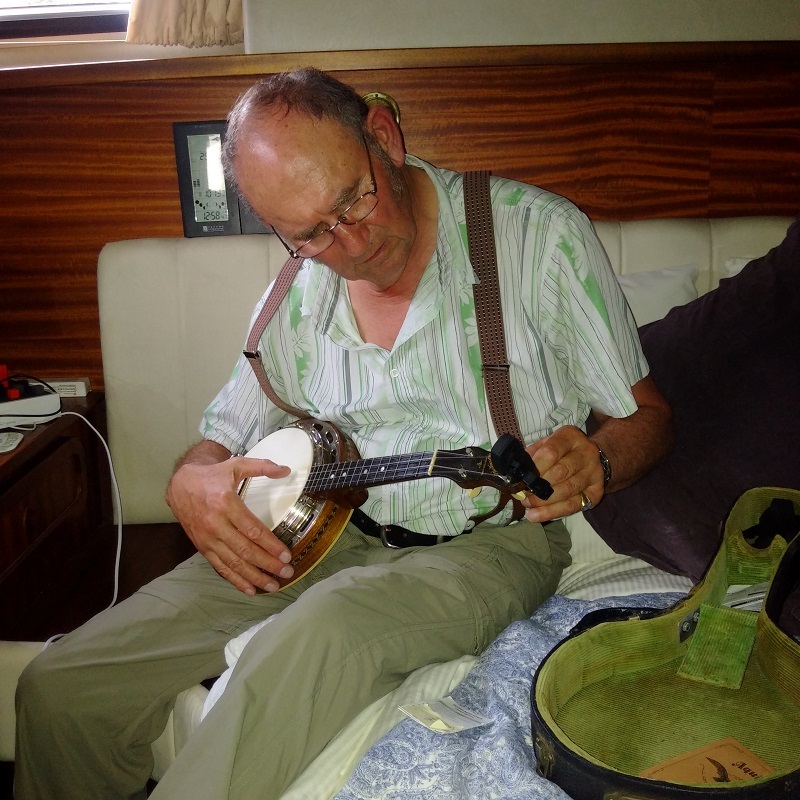 There was even time for me to tune up my old Ukulele and play and sing a few songs.. 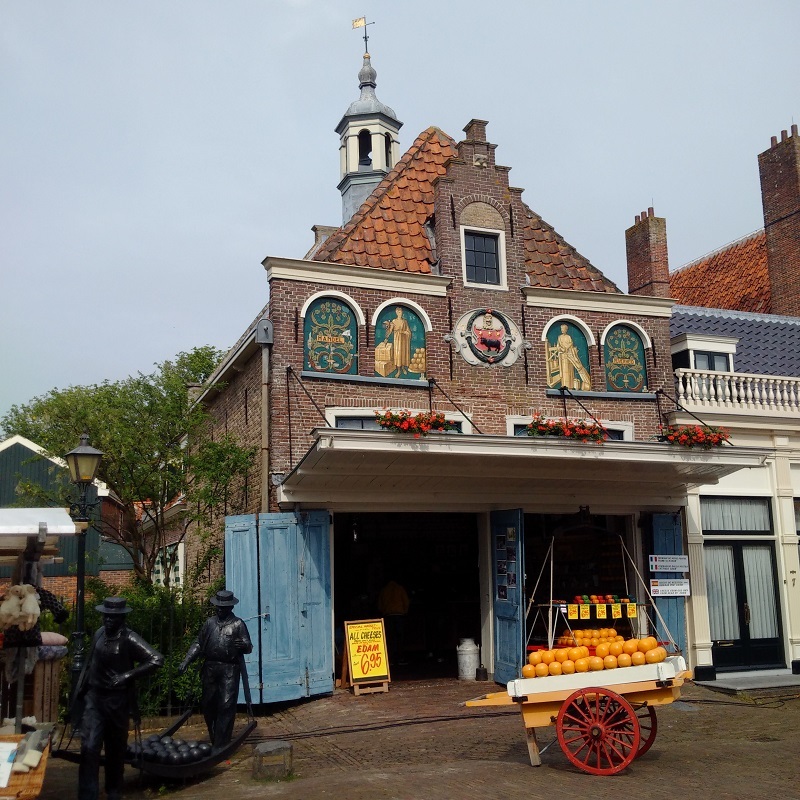 This gave us a chance to visit the tourist information centre and then take in the major attractions of this fine and historic Dutch town. The Tourist Information lady was very helpful and presented us with much information in English including a historic walking tour of the place. 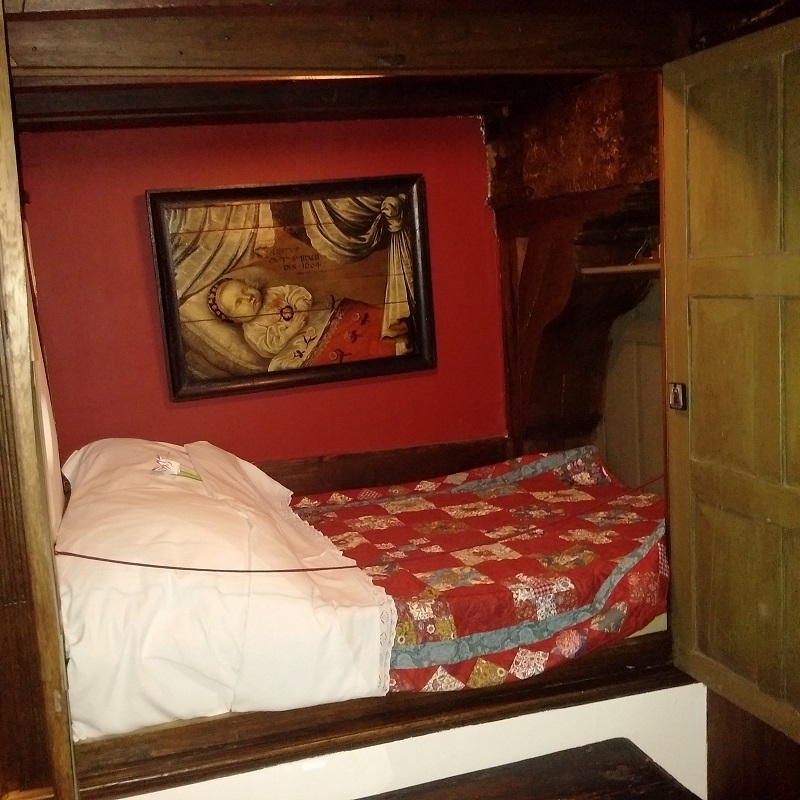 We started upstairs in the Town Hall Museum and with the story of the 17th century ‘Big Girl’ who was 7ft 6ins tall and quite a spectacle until she died aged 17. Everywhere in Waterland, the museum themes are all about the centenary of the 1916 floods that devastated this area with a storm and deluge and Edam was no exception. The inhabitants brought their cattle into the town for safety and kept them in the Great Church that now had an exhibition of classic and contemporary art with the same bovine theme. After the draining of the adjacent Purmerand Polder, the sodden fields were best suited for grazing and Edam was a centre for fattening Oxen and cattle which is why its coat of arms has a proud bull emblazoned upon it. It is also tribute to the ferocious nature of the Edam men when fighting the Spanish. The rest of that Town Hall museum was taken up with the tales of huge floods going back many hundreds of years when the deluges were named after the Saint Days that were near the dates concerned. This latest 1916 flood prompted the construction of the Aflutedyke, or barrier blocking off the Markermeer, from the sea and that was the end of such flooding being so common an occasion. In Edam museum, based within an historic house opposite the Dam centre, we saw the amazing construction of Edam’s oldest house with its floating cellar, cosy kitchen and bedrooms and the poignant child’s room with its painting of a deceased child recalling how child mortality was a feature of those disease-ridden ages. In the Grand Church, we marvelled at the colossal size of this austere Catholic creation and local volunteers were there in numbers to show us round and display used and hand-made articles available to sell for church funds and Kathleen bought a Dutch baby’s costume for her Boat Teddy and me some DVD’s for a euro each!